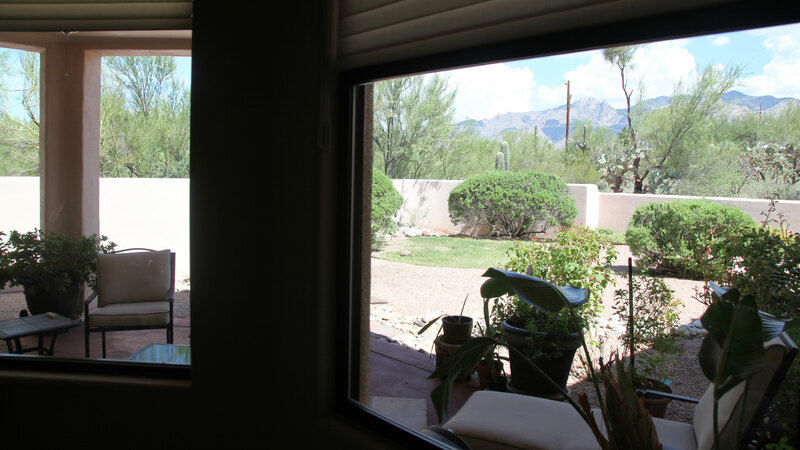 / Modified sep 4, 2018 1:50 p.m.
A few years after Lou and Merry Lewis moved into their Tucson foothills home in 1997, they became aware of the bobcats living in the desert around them. Initially, Lou was concerned about potential dangers but Merry called the Arizona Game and Fish Department and followed the agency's advice: Keep your distance from the cats and don't feed them. Eventually, a female scaled the concrete brick wall surrounding the backyard and entered that space. Lou and Merry watched from inside the house, and noticed how the cat explored the yard. 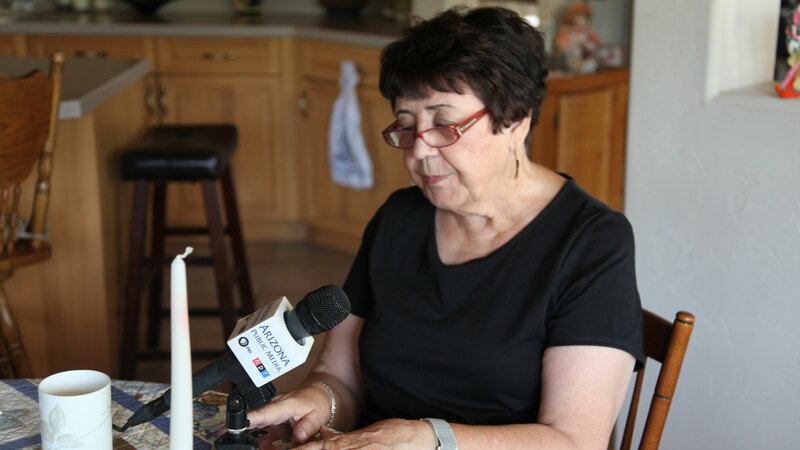 "It's so entertaining, it's wonderful," Merry said. Later, the feline apparently felt safe enough to bring her kittens into the yard and that began a transformation for the human observers indoors. Merry took photos, and Lou, who had taken up painting at 84 years-old, used them as templates for his bobcat illustrations. Merry gave him 13 photos and once Lou had finished, they made a calendar. When Lou passed away in 2014 at the age of 98, Merry couldn't stand the thought of getting rid of his artistic work so she decided to write a book and use his illustrations. Merry, a retired school teacher, collaborated on a second book and the publications have gone as far as Australia and Iceland. "I give more books away than I sell but my purpose was to share my husband with the world and that was met," she said with a smile. 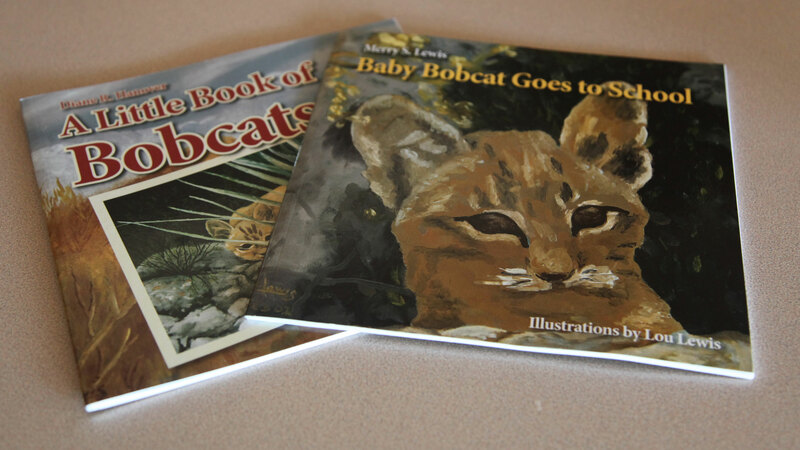 Bobcats inspired both of these books which are illustrated by Lou Lewis, Merry's late husband, who started painting at the age of 84. Today, Merry continues to use her experiences as a learning and teaching opportunity, and she's incorporated more modern technology such as Facebook and YouTube. "If you're looking out the window at the right time, you might see something," she said. Merry Lewis has a clear view of much of her yard where she gets occasional visits from bobcats. 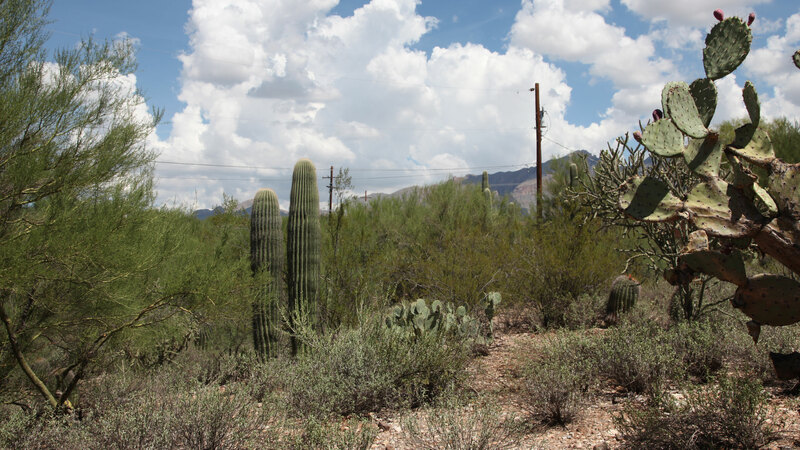 Merry Lewis owns a couple of acres in the Tucson foothills where she has seen different animals including bobcats, coyotes and javelinas. 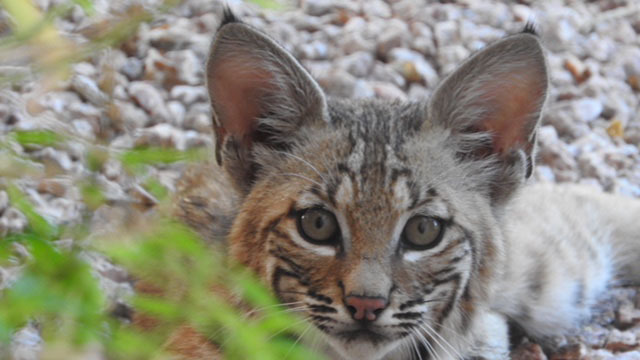 In addition to the bobcats, Merry has also seen many birds and animals such as ground squirrels, coyotes and javelinas on her desert property. "They're wild animals, you have to remember that," she added. "But we can live with them, we really can." 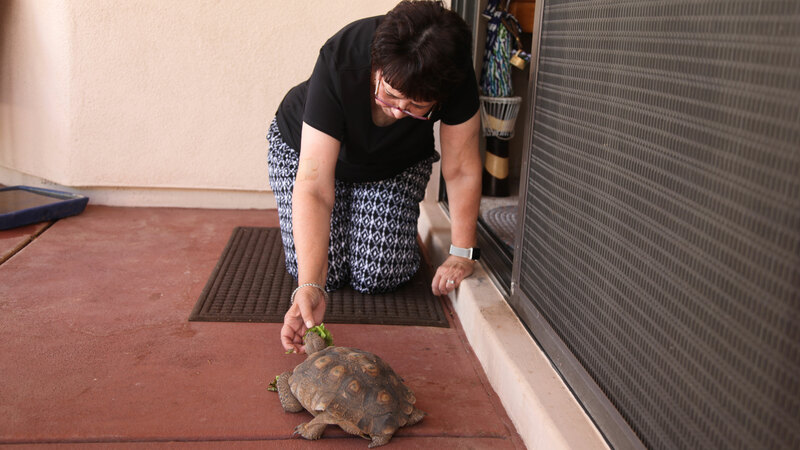 Merry Lewis shares her yard with a couple of adopted desert tortoises who ignore the visiting bobcats. 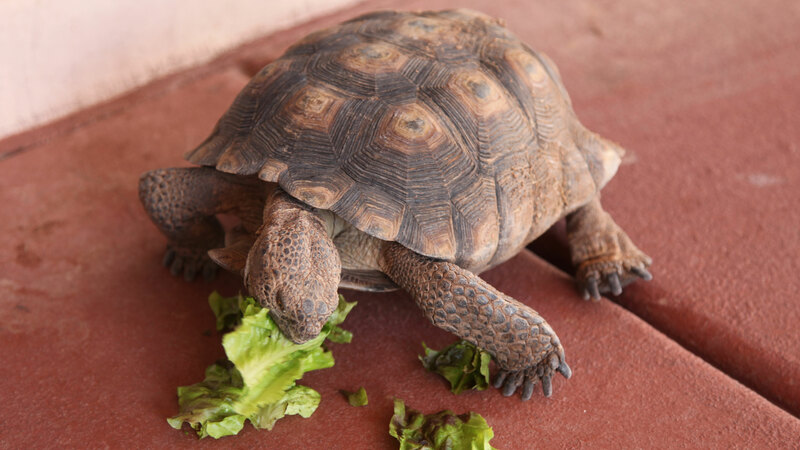 This adopted desert tortoise likes to eat lettuce along with natural vegetation in its Tucson foothills home. 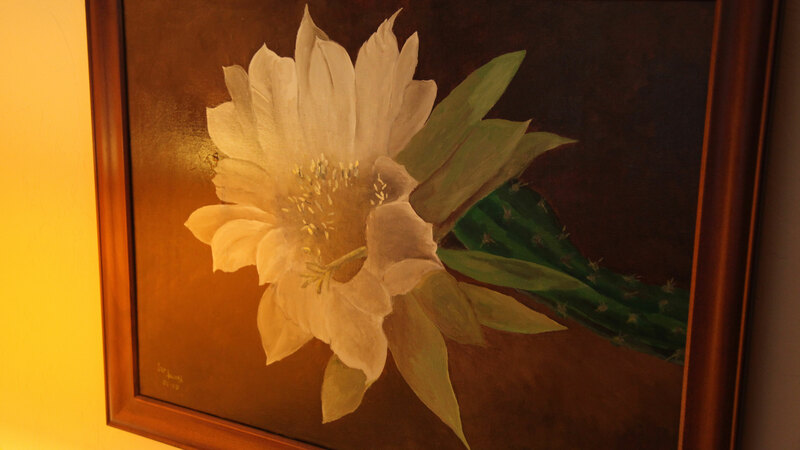 Lou Lewis took up painting at the age of 84 and focused on desert themes such as these flowers, landscapes, and bobcats. Merry Lewis, a retired school teacher, shares her stories about the bobcats and their influence on her and her late husband. A Fascination for Fishing Cats UA Conservationist Helps Water-Loving Feline Survive Will Water Return to Tucson's Washes?